Cebu is probably one of the provinces that can be easily reached, if one so like it. Several airlines fly here and there are lots of flight schedules available, from dawn till dawn of the next day. But it was only last March that I was able to visit Cebu. If not for the first ever family trip we had, I may not be able to visit it this year. So where did we stay in Cebu? 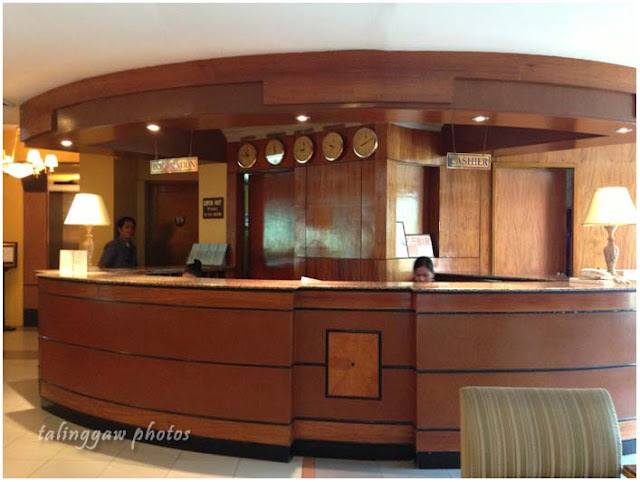 I looked up the net for Cebu hotels with affordable accommodation and one of the hotels I got is Cebu Business Hotel. I visited their website, checked out the rates and that's it, I didn't book at once. Why? Because I know it's past peak season in Cebu so I took my chances, I only called for inquiry and reservation the same day we were about to spend our overnight stay there, before we left Bohol actually. And as expected, I got a room. 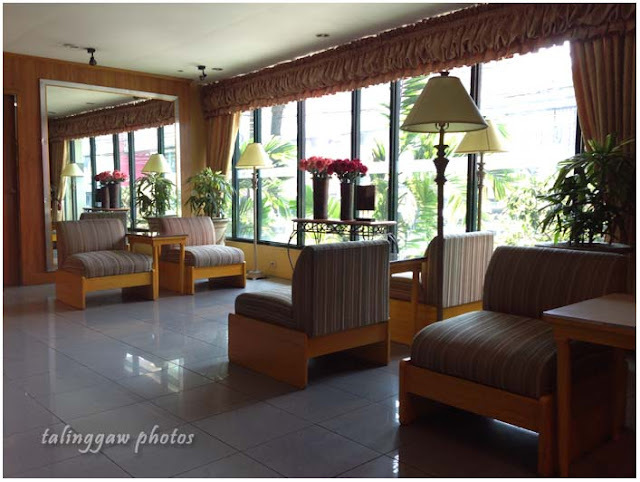 I took the superior room for PhP 1,885, including extra person charge (PhP1,500 for two, 385 for the extra person). 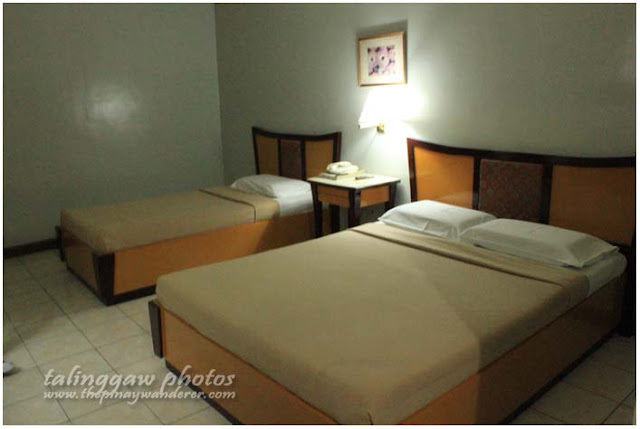 The room is fully airconditioned, with hot and cold shower, colored TV, free toiletries and free use of WI-FI. It also includes a free breakfast for all three of us. CBH is located along the oldest street in the Philippines, in Colon Street in downtown Cebu. But I only realized it after we get back here in Manila...tsk! I wasn't able to take a photo of me and my family in the street's famous rotunda. The street looks more like a street in Manila though, specifically in Quiapo, with lots of vendors along the sidewalk selling (pirated?) CDs/DVDs, accessories, street foods, etc. It's a busy street, full of life actually. Anyway, back to CBH; here's some of my photos before my CP's cam got stuck. My take on this hotel? The room is a bit gloomy, it's a kind of room where if you're easily scared (just like me), you won't stay. ;P But the room is big enough for three persons, with one queen-size bed and a single-size one. For PhP 1,885 per night (about PhP600+ per person) including breakfast, it's good enough I would say. 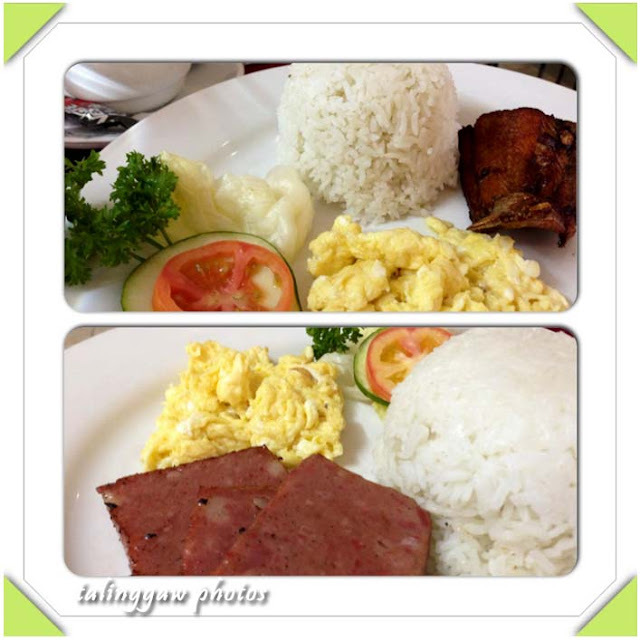 The following morning, we had our breakfast at Cafe Marcelino. It's not much of a hotel restaurant, it's small, a makeshift restaurant actually (the original restaurant is undergoing renovations). There were only a few guests that time so we were served immediately. There are several choices on the menu but these are what we had for our breakfast. My mom chose fried boneless bangus while my nephew got himself maling for breakfast. For myself, I chose danggit, one of Cebu's pride. The breakfast includes a choice of coffee or hot chocolate for drinks. 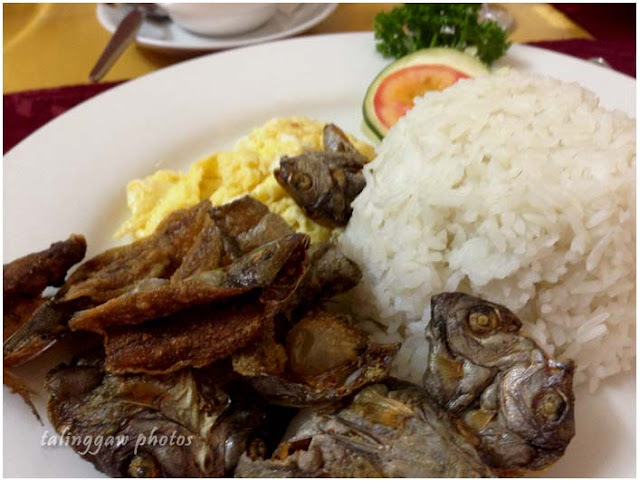 It's a typical breakfast, nothing fancy but I like their danggit, it's freshly-cooked and it's crunchy, it's not salty too; I loved it! Omg! The Danggit! I missed that! Sa july makakapunta na dn ako sa cebu. Hike, falls at beach..
it was a short stay too; just like you, we stayed longer in bohol. but we were still able to do walking tour so yes, I'll be posting more photos of cebu. Kakagutom naman ung food lalo ung last pic :) malapit ba ang hotel na yan sa Bantayan Island?